I've been dying to talk about this product for a while, but I am lazy and I have to admit I don't use body scrubs anywhere near as often as I should, which somewhat limits how much you can write about a product! I've had this for a while now though and given it a thorough testing so I feel like I can harp on about it. Let me start by telling you that I am generally a fan of cheap and cheerful body products, I like the Body Shop, and recently I have ventured into Philosophy and Lush products, but generally I don't spend too much on them. Being a fan of the Emma Hardie facial skincare range though I spotted this in TK Maxx a couple of months ago and I just had to give it a try. 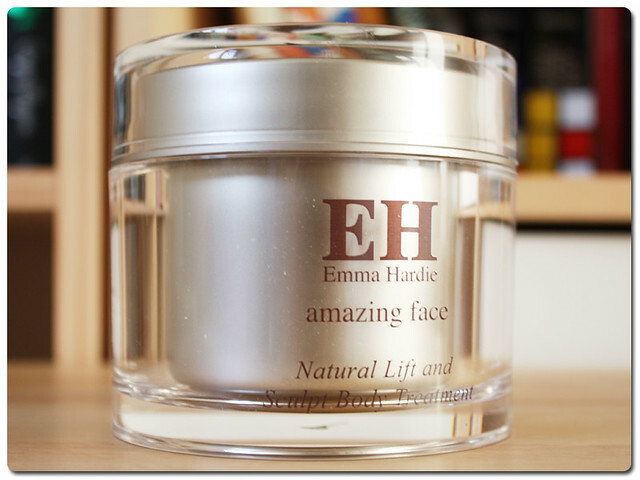 Emma Hardie has done wonders for my face, and although I don't feel like there is a lot that the skin on my body requires (It is pretty normal, maybe a little dry from shaving) I wanted to see if this product could benefit me even when I didn't think it was necessary. I have to say, this has become a bit of a staple for me now, and I use it at least once a week to reinvigorate my skin after a week of shower gels and razors sap some of the moisture out of it, and it just feels like I am treating my skin. This is no normal body scrub, it is a scrub and mask in one. 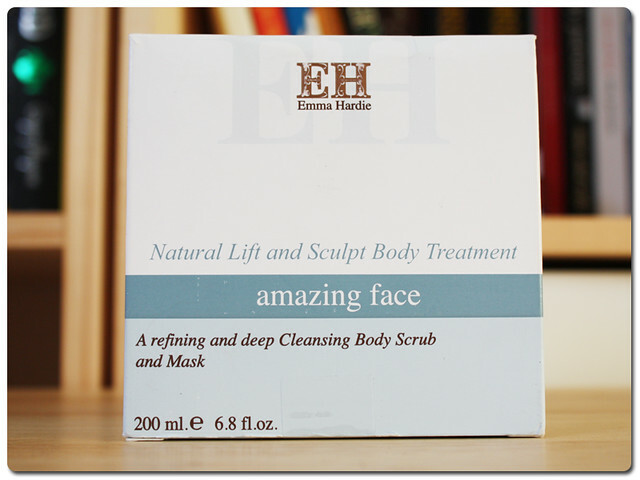 The idea of a mask for the body at first confused me a little, as I couldn't really understand the benefits but Emma Hardie recommend it as a detoxifying treatment if you have body acne, which I have been a sufferer of in the past, and I occasionally get a few blemishes on my upper back. The rose and china clay smooth onto the skin and even a thin layer feels like it pulls out impurities. I also recently used this on an ingrown hair that had gotten a little infected on my leg (why are they always on my calf?!) and this layered fairly thickly for 5 minutes in a steamy shower pulled out all the bad stuff. Pretty impressive. The scrub is mild because it is encased in the creamy mask, but still has enough buff to it as it uses Himalayan salt and red corn granules to still take off that dead skin. The real selling point for me with this product is the almond oil. I smooth this onto my legs while I rinse my hair out and by the time I come to buff it off my legs feel really moisturised. I don't have really really dry legs so using a thick body cream or lotion is far too much for me to use regularly, and it is a complete pain waiting for it to sink in. This stuff manages to moisturise me while in the shower but without leaving a horrible residue like the Nivea in shower moisturisers do. I have been using this once a week for a couple of months now and the pot is 200ml so there is still loads of product left. If you can find it in TK Maxx I would grab a tub to give a go as it is less than half the price in there, but if you can't find it, then it is available in the new packaging from Emma Hardie stockists including Feel Unique. It isn't cheap but it does multiple jobs for me and ticks several boxes so I think it is worth it. 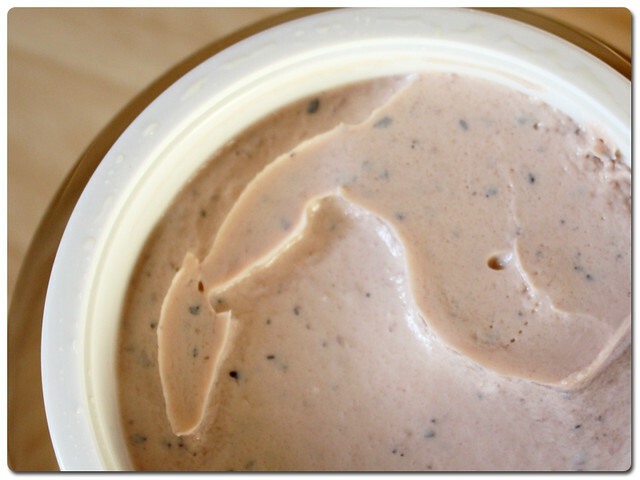 Have you ever tried luxury body scrubs before?